Enameled solid cast-iron offers superior and even heat retention while vibrant porcelain-enamel exterior offers contemporary styling. Foods will not react with the easy-to-clean, PFOA- and PTFE-free porcelain enamel cooking surface. Enameled fire red exterior and cream colored interior will complement any kitchen décor! This pan comes with ergonomic handles and a stainless steel knob. 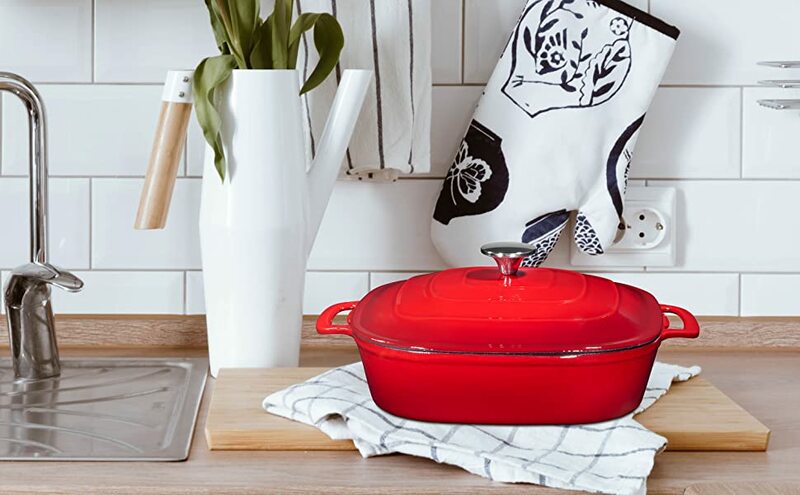 Cookware is oven safe to 500 F and easy to clean!